Citizens can now be fined on the spot for littering if the Delhi High Court's suggestion to collect such fines through hand-held electronic devices is accepted by the civic bodies. 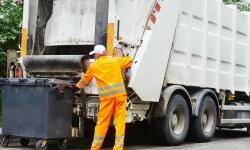 The high court made the observation after it was told about the notification of the new solid-waste management bye-laws, which introduce user fees for using municipal services and impose penalties for littering or violating waste-management rules. Under the new law, the user fees range from Rs 50 to Rs 5,000 based on the nature of the premises while the fines on each default would range from Rs 200 to Rs 10,000, depending on the nature of the violation and the type of building. The Goa government on January 17 launched a website providing online registration facility for developers under the Real Estate (Regulation & Development) Act, 2016. The government set a deadline of February 24 for builders to register their projects. The Act, which intends to safeguard home buyers, was enacted by Parliament on May 1, 2016, and was notified in Goa in August the same year. Over 9,400 enemy properties, worth more than Rs 1 lakh crore, are set to be auctioned with the home ministry starting the process of identifying all such estates. The properties were left behind by people who took citizenship of Pakistan and China. The move came after the amendment of the 49-year-old Enemy Property (Amendment and Validation) Act, which ensured that the heirs of those who migrated to Pakistan and China during Partition and afterwards will have no claim over the properties left behind in India. The Delhi Assembly's special committee on municipal corporations on January 18 asked all the three civic commissioners to submit details of the collection and utilisation of conversation charges and parking fees. The move comes two days after Speaker Ram Niwas Goel referred various contentious issues, including an ongoing sealing drive by the civic bodies, to the special committee of the House. 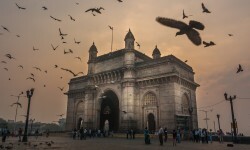 Since last month, the three Bharatiya Janata Party-led municipal corporations have been sealing commercial establishments around the city for various reasons, including failure to pay conversion charges. Meanwhile, the North Delhi Municipal Corporation sealed on January 18 sealed over 80 shops for alleged violation of municipal norms.